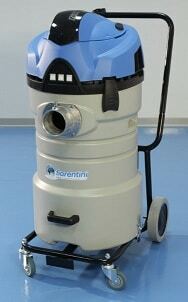 The Fiorentini CF85F1 has a strong trolley with accessory support. This model has a 2,000 watt motor with an optional industrial socket making it a powerful industrial cleaner that is easy to maneuver. It has also got a 75 litre tank capacity.